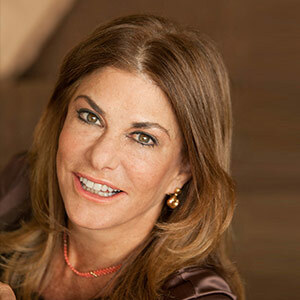 Orna Shulman founded and manages OLS Ventures, LLC to manage her own investment portfolio of alternative investments and opportunistic real estate investments For over 12 years, Ms. Shulman was the Executive Vice President and General Counsel of Intertech Corporation, a private investment firm. At Intertech Corporation, Ms. Shulman initiated the development and subsequent disposition of 4 million square feet of office parks, retail centers and residential communities. In the mid 1990’s, Ms. Shulman acquired 14 hotels, which ultimately were sold to Starwood. Ms. Shulman was the architect of the purchase and redevelopment of a 500,000 square foot office building at 1500 Broadway in Times Square. Ms. Shulman also invested the firm’s capital in high tech and biotech start-ups, both in the U.S. and in Israel, which exceeded $800 million in value. During her tenure, the return on equity exceeded eightfold. Ms. Shulman has spent time in the non-profit world, served on the Dean’s Board of Advisors at the Kennedy School of Government at Harvard University, on the Board of the Lang Institute for Entrepreneurship at Columbia Business School, and as past Trustee of the Washington Institute for Near East Policy. Currently, Ms. Shulman is on the Board of Directors of New Yorkers for Children, the Middle East Forum, and the Institute for Global Leadership at Tufts University. She is also an international member of the Young Presidents’ Organization. Ms. Shulman graduated from Tufts University, and has a law degree from the Washington College of Law at American University.